Conventional research on raising capital focuses on the two usual suspects that inhabit balance sheets: equity and debt. But as authors Alex Edmans and William Mann remind readers in a recent Wharton research paper, selling non-core assets also fills corporate coffers with cash. “Financing Through Asset Sales” probes the choice to issue equity or sell non-core assets such as a division or a plant. As a means of raising cash, under what conditions are asset sales or equity issues likely to add more value? Edmans, a Wharton finance professor and a faculty research fellow at the National Bureau of Economic Research, and Mann, a Wharton PhD candidate, have an answer. They propose three forces behind decisions to sell equity or sell non-core assets, which they call the camouflage, correlation and certainty effects. These three effects pierce a veil that up to now has concealed underlying causes of corporate strategy and market reactions. Resulting insights, they say, furnish managers with a better framework for reaching decisions about the amount and purpose of financing, pivotal factors in the long-term viability of any business large or small. Data supported a deep dive into non-core asset sales as a means of raising cash. In 2010, asset sales that raised $133 billion outpaced seasoned equity issuance in the U.S. by $3 billion, according to the Securities Data Corporation. Unique as the economic climate might have been at that time, the ratio of asset sales to equity issuance by corporations was consistent with previous years. In view of a nearly 1-to-1 ratio of asset sales to equity issuance, one might wonder why researchers took so long to notice. Edmans suggests that asset sales failed to lure attention chiefly because experts anticipated an obvious explanation — firms sell assets if they are easy for outsiders to value. In the academic world, Edmans says, expectation of obvious results dampens motives for research, since there is no need to write a paper if one can already guess the conclusion based on common sense. The existing research on asset sales is largely empirical, he notes. One paper investigates alternative uses of proceeds. Several others look at the market reaction to asset sales. The few theoretical papers out there treat asset sales as the sole source of financing. None evaluate, from a theoretical standpoint, the comparative merits of non-core asset sales versus equity issuance — i.e., under what conditions should a firm raise equity, and under what conditions should a firm sell assets. This is what Edmans and Mann set out to do. The starting point in their research was a 1984 paper by Stewart Myers and Nicolas Majluf. Those authors argued that firms typically prefer to issue debt rather than equity because debt features less “information asymmetry” — academic language for the gap between what sellers know and what buyers know about the item changing hands. In an ideal world, symmetry is perfect, and buyers and sellers have identical information. Where there is asymmetry — i.e., the normal course of events — information is not the same. Logic behind the theory that Myers and Majluf espoused lies chiefly in the notion that more information asymmetry breeds uncertainty, and uncertainty sabotages prices. Simply put, if investors do not know the true value of a company’s shares, they will only be willing to pay a low price for them. Companies want the best price; therefore in theory they should sell claims that have the least uncertainty and the least information asymmetry. Tax considerations aside, because debt is safer than equity, it has less information asymmetry, and so firms generally prefer to raise debt rather than equity. Meyers and Majluf looked only at debt and equity, however. They did not consider asset sales. Applying their general principle to the asset sales decision, later observers assumed that firms should sell assets only when they exhibit less information asymmetry than equity. Looking specifically at asset sales, Edmans and Mann determined that information asymmetry is not the primary driver of financing decisions. Peeling back the reasons that motivate the sale of assets versus stock shed light on the camouflage, correlation and certainty effects. The camouflage effect marks the first departure from earlier theory. Myers and Majluf showed that when a firm issues equity, the market infers that it’s because the equity is overvalued. Experts liken this to consumer behavior in the used car market where buyers suppose that selling a car means something undisclosed is wrong with it (i.e., it’s a lemon). That’s why used car buyers typically offer less than the asking price. Similarly, according to Myers and Majluf, firms are reluctant to issue equity. They don’t want to send a signal that casts doubt on their value. The correlation effect highlights a second case for selling assets instead of equity. When a firm issues equity, not only does it fetch a low price for the new equity that is issued (because the market suspects a “lemon”), but also the low price affects the old shares that are already outstanding. Because stock in the firm as a whole is a carbon copy of the new shares, any discount applied to the new offering affects all of the existing shares in exactly the same way. The whole company faces loss in value. In contrast, if a firm accepts a low price for a non-core asset, the low valuation says nothing about remaining assets. The crux is that any correlation is muted. The asset for sale is not a carbon copy of the rest of the firm. Even if the market decides that the asset is a lemon, this conclusion won’t extend to other assets or the firm as a whole, the researchers note. Say that a bank wants to sell its aircraft leasing business, but fails to convince the market that it’s selling only because aircraft leasing falls outside the firm’s core banking business: Then the camouflage effect goes away. That conveys the impression that aircraft leasing is a “lemon” and therefore warrants a lower price. Nevertheless, market knowledge that the aircraft leasing business is troubled conveys nothing about the quality of the bank’s core business of lending and deposit taking. In that case, the bank can raise cash without hurting its stock price. The rest of the firm does not suffer. A hunch about the camouflage and correlation effects motivated Edmans and Mann to embark on their paper. The certainty effect emerged after they started to build their model. When companies issue stock, new shareholders receive a stake in the entire firm. Resulting stakes include not only core and non-core assets in place before the offering, but also the cash raised by issuing stock. Because the value of the new cash is certain, it offsets the information asymmetry of other assets in place. If a pharmaceuticals company is raising $5 billion of equity, for example, the new equity investors will get a share of not only the company’s current drug pipeline (whose value is highly uncertain), but also the $5 billion of equity that they inject (whose value is certain — it is $5 billion). Hence the label of the “certainty” effect. The bigger the equity offering, the weightier the certainty effect becomes relative to information asymmetry. In contrast, an asset buyer retains a claim to that asset alone. 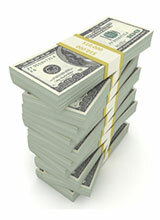 The claim enjoys no benefit from the certainty effect of cash because there is no residual stake in the seller. If a conglomerate sells its pharmaceuticals division for $5 billion, the purchaser obtains only the pharmaceuticals division and not a share of the $5 billion of cash that has just changed hands. Weighed alongside the camouflage and correlation effects that tend to favor the sale of assets over equity, the certainty effect favors equity over asset sales when raising cash. The certainty effect is surprisingly robust. Edmans and Mann show that it persists even if the cash raised is intended for an uncertain purpose — for example, a new venture. Even absent a formula, takeaways are consequential when companies mull financing options. The camouflage and correlation effects give an edge to selling assets over issuing equity. Conversely, the certainty effect expresses a case for issuing equity, especially as higher cash needs amplify the certainty effect, the researchers say. With billions of dollars at stake these days even in routine financings, three new lenses can help managers see their way to better decisions.